31-W Insulation proudly installs new garage doors for residents of Cincinnati, Ohio, and the surrounding communities. For more than 40 years, homeowners throughout the southeastern United States have turned to us for various home improvement needs, including garage door installation services. Excellent customer service – We are a family-owned company that has been serving the needs of homeowners in Cincinnati, OH, and beyond since 1972. We are committed to providing exceptional customer service and have earned an A+ rating with the Better Business Bureau. High-quality products – The doors we offer come from Amarr®, a trusted manufacturer of durable and low-maintenance garage doors. No matter which door you choose, you’ll know you’re getting a product that will look great and function perfectly for years to come. Customization options – Choose from traditional, carriage house, and specialty styles for your garage door. Then, you’ll be able to further customize your door by selecting the window style, color, finish, and other options such as insulation and wind-load protection. Superior installations – We use only our own factory-trained employees – never subcontractors – to complete your installation. This allows us to ensure the highest level of craftsmanship and care so that your new garage door will look great and function flawlessly for years to come. 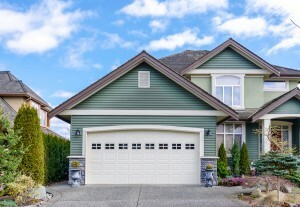 From start to finish, you can count on the professionals at 31-W Insulation to help you with your garage door needs. Contact us today to schedule a free consultation at your home in Cincinnati, OH, and to learn more about our garage doors.